This style runs true to size; we recommend ordering your usual size. If ordering half sizes, we recommend ordering the next size up. 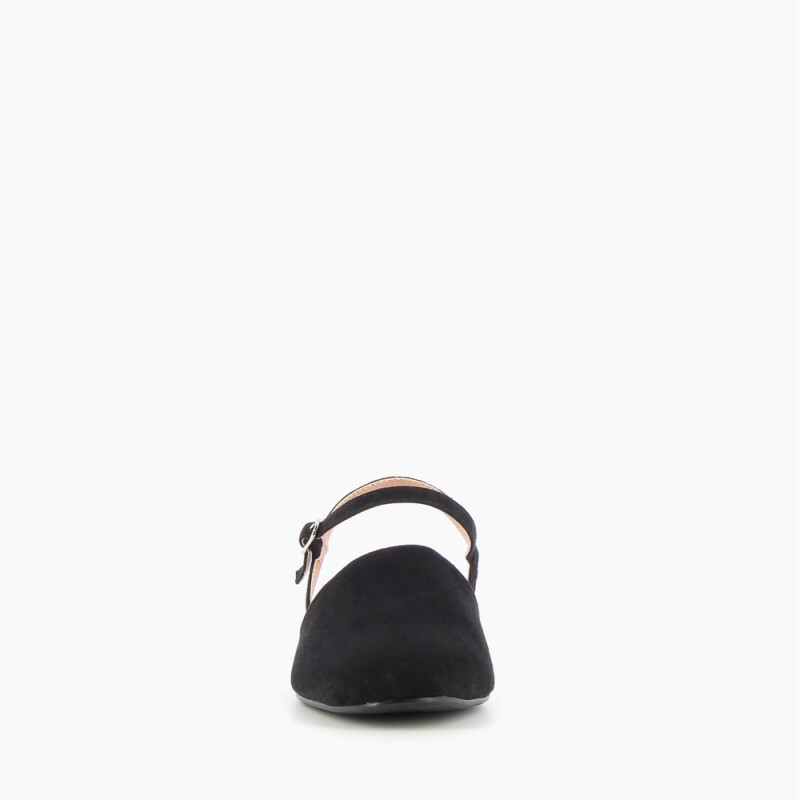 Flat round-toed Mary Jane shoes, in black suede-effect. Open section at the back, with buckled double strap around the ankle. 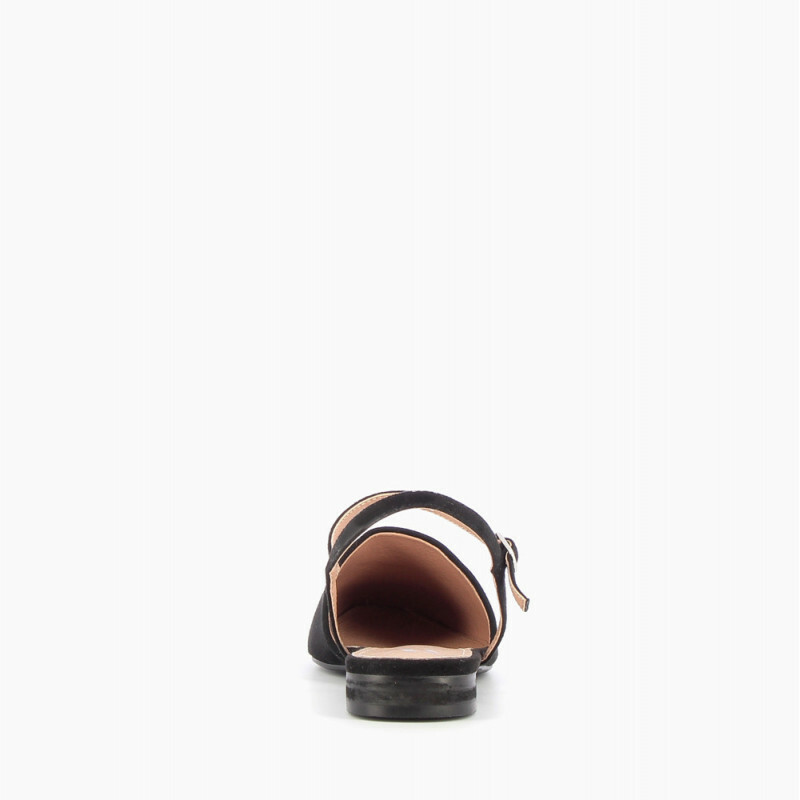 Vanessa Wu's detail: This flat shoe has an unusual shape, somewhere between ballet flat, loafer and sandal. Wear with skinny jeans and a white T-shirt for a casual yet sophisticated look.